An inspired combination of light-reflecting glass stone blend backsplash tiles and subway tiles provides a touch of color and texture to any space. 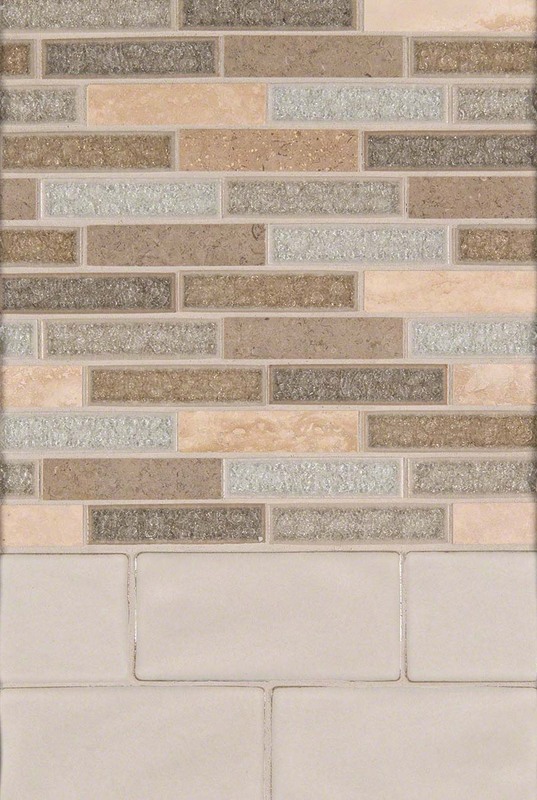 Our Antique White 3x6 Subway tiles from our Highland Park Collection features a hand-made look while the refinement of the Crystal Vista mosaic tile ups this design’s character and appeal. It is perfect for use as kitchen backsplash tile or for showers or backsplashes in the bathroom and would work well with contemporary designs.